South Africa’s first multimillion rand biorefinery facility will be launched by the Minister of Science and Technology, Mmamoloko Kubayi-Ngubane, in Durban on Tuesday, 20 March. Funded by the Department of Science and Technology (DST), the Biorefinery Industry Development Facility (BIDF) will address the issue of biomass wastage in the country through technology. The move to Industry 4.0 is underpinned by the digitalisation of all areas of product generation and lifecycle management in almost all industrial sectors. To remain competitive, companies in most industrial sectors will need to digitalise their processes. This will lead to huge efficiency gains, particularly in the manufacturing environment. CSIR researchers were given the opportunity to test their newly developed point-of-care diagnostics system in an unfortunate outbreak of foot-and-mouth (FMD) disease in Rwanda. Officials from Rwanda University’s veterinary department and the Ministry of Agriculture approached the CSIR to assist towards the end of 2017. The CSIR’s scientific findings are being used to compile a dossier that will be sent to the International Office of Epizootics, to highlight current and future measures of controlling the disease. 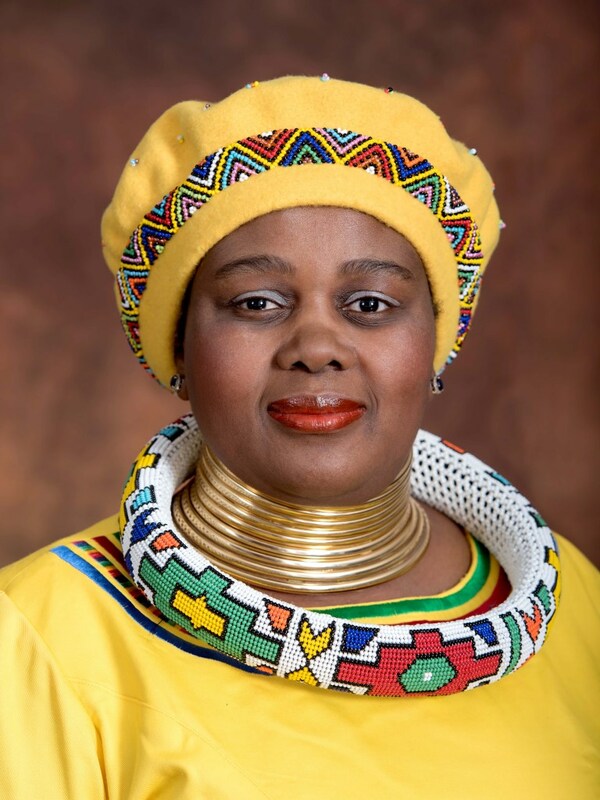 The Council for Scientific and Industrial Research (CSIR) welcomes the appointment of Ms Mmamoloko Kubayi-Ngubane as the new Minister of Science and Technology. The appointment comes after the announcement of a new Cabinet by President Cyril Ramaphosa on the 26th February 2018. “Commercialisation of Research Technologies” is the central theme for this year’s NEPAD Southern Africa Network for Biosciences (SANBio) with a dialogue on new ways of innovating for the future in the biosciences, cultural changes in the research environment toward entrepreneurship, the role of data and technology in health and nutrition, infrastructure for innovation and future trends and funding models. The High Performance Computing (HPC) Ecosystems Project is responsible for the distribution and deployment of decommissioned HPC hardware as mid-tier systems to research institutions within Africa. The current focus of the project is to support HPC development in the Square Kilometre Array (SKA) partner countries across Africa through enabling computational research initiatives and developing human capital in HPC. Low-cost technologies to improve the quality of water and service delivery in the municipalities will be displayed at the 12th National Municipal Managers Forum taking place in Mpumalanga on 20-21 February. The Council for Scientific and Industrial Research (CSIR) has developed a range of technologies to enhance the performance of the municipalities and also to improve the quality of life in rural and peri-urban areas. The impact of climate change continues to have devastating effects on nations across the globe, and South Africa has not been spared. Provinces like the Western Cape are experiencing one of its worst droughts in decades, while the Free State and Northern Cape have suffered substantial depletion of livestock as well as crop failure due to persistent drought conditions. The Department of Science and Technology (DST) believes the launch of the second edition of the South African Risk and Vulnerability Atlas (SARVA) is timely as it has essential information on the impact of climate change in South Africa. Developed by the Council for Scientific and Industrial Research (CSIR), an entity of the DST; the atlas also presents findings of current research on the risk and vulnerability of key social and economic sectors to climate change. It is relatively easy for a child to apply for an identity document (ID) and have it issued with the identity of another child; because the South African government and most other world governments do not, in simple terms, know what a child who is linked to a particular identity looks like. This, by extension means that any child can use the identity of another child, with the scary implication that it is easy to move through national borders with a stolen child.